Haifa, Israel, 20 October, 2009 - Elbit Systems Ltd. (NASDAQ: ESLT) recently introduced the first tactical, full military standardized satellite communication on-the-Move (SOTM) solution, allowing low visibility profile and high data rate broadband capabilities, and can be installed on any vehicle platform in a cost-effective package. 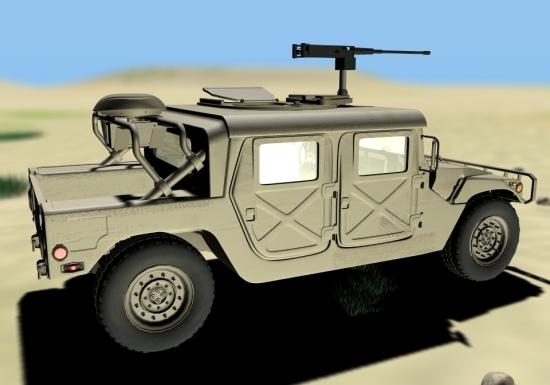 As part of the SOTM solution, Elbit Systems developed a low profile SOTM antenna that provides broadband communication anywhere, anytime, supported by a unique modem technology for the SOTM communication. The modern battlefield requires real-time, high data rate communication, shared by a variety of users, while ensuring reliable high-quality service in harsh weather conditions. Elbit Systems' new satellite communication solution, the ELSAT2000, answers all these requirements with the use of a BM-FDMA SatCom modem (Burst Mode Frequency Division Multiple Access) a technology that allows extremely low visibility and optimal utilization on Ku band. The Company's new military rugged system ELSAT2000 also allows two-way broadband communication, with zero configuration and without user intervention (performing satellite acquisition, re-acquisition and tracking within its operational envelope). The system includes an internal GPS receiver, gyros and is easy to install and operate. 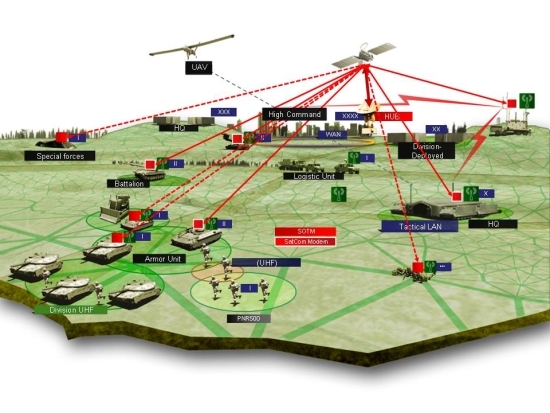 The innovative concept recently introduced by Elbit Systems is fully integrated with the modem technology developed and manufactured by the Company's wholly-owned subsidiary Shiron Satellite Communications.